an excellent response to facebook’s recent manifesto. I’d be a lot more enthusiastic about Aral’s vision if it had any technical grounding. It’s beautiful, but the crucial question of “how” is, as far as I can tell, completely unanswered. The article makes me curious, are there any devices (besides the obvious Pi type devices) that allow you to set up and host your own page with all the benefits of a social network? Something you could buy/download/build and then host/hack/customize a page for, that was open source, personalized and easy to use? There are dozens (hundreds?) of ways to do this. All require varying degrees of technical competence and time to set things up. And once you have built your virtual home on the web, you have to attract people to it. That’s really often the hardest part. The reason people use Facebook has much to do with the power law mathematics of network effects. The more people using a network, the more interconnected the nodes on that network, the more useful the network becomes (to an exponential degree). People use Facebook because their friends and family are already there. Approaching 2 billion of them. I imagined a device with all of the design sensibility of a monome instrument, with the ease of use of llllllll.co. Could something be open source be adapted/shaped, could a walkthrough/wizard be developed, would the community (or a subset) be interested in doing something like that? Well, Discourse (the platform llllllll.co is built on) already exists and is open source. It’s not easy to install or host, if “easy” means something along the lines of setting up a Mac for personal use. You need to know a bit of unix, a smidge of programming knowledge wouldn’t hurt. Lots of reasons for this. the implementation (to me) seems trivial. after all, the internet is basically an assemblage of different people’s ideas and levels of execution of these ideas. sometimes the ideas don’t come from the people who execute them. the harder second part comes after-- getting the general public to be interested and change habits. for me the article is less about details-- more about affirming the possibility of agency. with one proposition and the implications of such an endeavor. an exercise in thinking further. I must have missed the proposition. For folks who think it’s a good idea, I’d love to hear what you think of the link above. I was getting at something that both physical host+web presence with a dash of social networking thrown in. And yeah I was definitely getting at the Mac style ease-of-use paradigm…half the reason to stick to facebook is because it is easy, the other is because everyone is already there. Something that you could put all the details into, spit out a static page, drag and drop on to your physical device and connect to the greater web/the lines community. Dig into IndieWeb, and look around at open source forum software (such as Discourse). I can also point to additional examples. And be ready for rough edges and things lacking Mac-like easiness. That ease of use comes at great cost and effort. It’s what keeps me employed. Open source is notorious for not giving usability the attention it so desperately needs. I just opened the link and everything I’ve read so far is exactly what I was talking about. I’ll continue reading and see if there is some middle ground with what I’m thinking of. I find it very disturbing to read an eloquent description of something that is so obvious and is also what we were all doing, originally. Well okay, not for the same reasons in 1993 as now, but… having to explain to people that they can have a digital life outside of Facebook… shows how far down a slippery slope we have travelled. If the idea of competitive access to broadband can be openly attacked, so can the idea of a freenet. Thanks for posting, I needed that. I love IndieWeb. Because it captures the spirit of the early web, accurately. I feel the gap has a lot to do with usability. well, from a technical/infrastructure perspective it seems something missing is any kind of modern, expansive, efficienet and general purpose peer-to-peer network. without that component it’s hard to seriously discuss individual digital sovreignity. unfortunately the project doesn’t seem to have survived its creator very well, but there is zyre and hydra, which is a start. edit / BTW: i looked at the indieweb link, have read a lot of words there but still think i must be missing the point. is it just “POSSE” and “selfdogfood?” that seems… not very deep. is it possible to explain the whole idea to me in one or two sentences? What do engineers use for birth control? Their personalities. 100 years ago a few newspaper barons largely controlled what we thought. Then, diversity. Then, an explosion of opinions and ability to communicate and… Now, an implosion? As long as people are comfortable, well-fed, ‘safe’ (yeah, that’s a hell of a loaded word), … they don’t see that we are imploding back towards a very few groups controlling all the discourse that matters. Plus surveillance. Plus a growing wealth divide. Plus… sigh. Lots of people in the tech world who openly resent the hegemony of Facebook and obliviousness of Twitter are also openly disdainful of the IndieWeb efforts… I’m not sure where that’s coming from. Maybe the fact that decentralization has always come with its own downsides and cultural irritants lately (e.g. Bitcoin). Or just that Tantek has one of those birth-control personalities, or that the efforts have in fact not gotten far over a long time, or that zillions of WordPress installs are already enough of a security problem. …or that it’s actually kind of hard to explain why it’s a win except on principle, which is why my attempt to do a better job of that than IndieWeb.org will have to wait until I’m home from dinner. in other words, i just don’t think syndication, pingbacks and cross-site posting/authentication are quite enough to give someone the “network experience” that they get from facebook, reddit, or this site. seems like a focus on aggregation tools, to complement the focus on publication tools, would help. again, don’t mean to be snarky or dismissive of what is clearly a lot of hard work and good intentions. Thanks for expressing something I’ve found difficult to convey. I wholeheartedly agree and I also do not wish to diminish in any way the considerable effort that has gone into what is there. I think the reason it hasn’t gone further is the simple fact that technology that is easy to use is difficult to create. But I don’t think that’s news to anyone around here. Leaving aside the existing POSSE implementations, is it a good goal to aim for? Is it what Aral was asking us to build? Do we agree with him, if so? is it a good goal to aim for? Is it what Aral was asking us to build? Do we agree with him, if so? “funded by the commons.” that’s an interesting bit of the article but, yeah… not exactly obvious how to get there, and it’s slippery. the idea seems to be 1) a commons-funded core infrastructure, 2) “value added,” privately developed but SSA-licensed services on top, and 3) an absence of “convoluted government bureaucracy.” to me, that already gets uncomfortably close to sliding right back to the tech-libertarian utopias emanating from the minds of larry page and (indeed) mr. zuck. a burning man situation. i would like to see a little more about what this “common-funded” infrastructure looks like - “everyone has their own space on the Internet, funded from the commons… a special, permanent node within a peer-to-peer structure” - what is that node? is it hardware, assigned to subscribers like like an electicity meter or digital TV antenna? is it just a numerical identifier, like a domain name? or something else? this could get slippery again. finally, something i don’t see mentioned is the need for such a network to support robust encryption and anonymization when required. maybe that goes without saying. but that diagram kinda leaves a funny impression. following up on the ind.ie manifesto, i see an emphasis on ethical design and “ethical advertising” as an onus to be enforced on web content/service providers to remain “zero-knowledge.” that’s hard for me to swallow as a realistic expectation, unless it’s explicitly built into the infrastructure, with a user always having agency over their own level of anonymity. anyways, as a broad kind of manifesto i think the article is great, and it’s a valuable mindset to cultivate. it doesn’t purport to be an actual roadmap for development and that’s ok. I should apologize to you; I didn’t intend to include you in the crowd of those who dismiss these efforts, and there are plenty of things that work hard to earn some disdain. The biggest problem, to my eyes, with IndieWeb (as a banner) is the focus on hackers building what hackers happen to need in their own lives. That’s never going to make a network that anyone who doesn’t write PHP for a living would want to use. But: yes! Three of the major techs at the heart of indieweb are as you link. Webmention is basically trackback/pingback from days of yore, but better; you can use it to notify other hosts of all sorts of things, from being tagged in a photo to (and here’s where my secret plans begin to come to light) having a new post to approve on a forum thread you started. 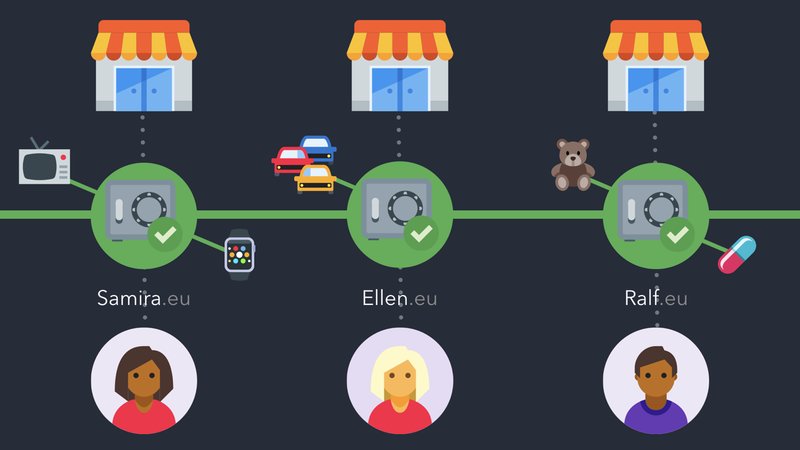 Indieauth is a valuable layer of indirection on logging into things, letting your domain point to whichever services you happen to like for OAuth purposes at the moment. Micropub is… not my favorite of the three as far as its tech underpinnings, but it’s a useful standard for posting to places from other places. But I might still do the forum. It actually seems like low-hanging fruit.